A great post on finding your blog’s audience. What are your tips for attracting readers? We spend a lot of time discussing ways to use social networks like Facebook, Twitter, Pinterest, and Instagram to grow your blog’s audience. Forums are another effective tool for increasing your readership: these niche social networks are a focused way for bloggers who publish on specific topics to connect, boost their blogs, and find new post inspiration. Sadly, the needle is not always so easy to find — but forums and niche communities can go a long way toward shrinking your online haystack. 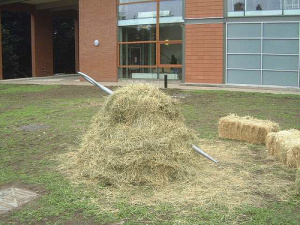 “Needle in a Haystack,” James Lumb. Finding people on the internet is the easy part. Finding the people you want to connect with — the people who care about the same things, or share your values — is another matter entirely. Many new bloggers feel alone despite joining a community millions strong, because simply participating doesn’t mean you’re connecting.